When something we make contributes to a terrible disaster, one of our favourite responses is, ‘well, that isn’t our fault because that thing was misused.’ When will we begin to take responsibility for the things that we make? Granted, when someone makes something that can be used to cause harm, it seems easier to assign responsibility for the outcome. But the boundary line of responsibility gets a little more murky when we start considering the wider gamut of the things we make, especially where no ill intent is involved. We make a lot of things: products, services, policies and ideologies, to name a few. The things we make rarely support only one action, one behaviour, one outcome. Most of the time, the things we make allow a wide range of behaviours. For example, suppose that we put a bench in a park. Our intention is that it allows park visitors to sit and enjoy the space. However, to a gymnast, the bench could allow them to practice their tricks. To vandals, who lever the bench out of the ground and throw it around the park, it offers a different set of action opportunities. Even to animals the bench offers actions. To a pigeon it offers shelter and to a woodlouse it offers food. It is the same bench, but it provides many different opportunities for action. These various opportunities for action (or, as the ecological psychologist J.J. Gibson named them, ‘affordances’) may be expected and planned, or they may be unexpected. They may be advertised or unadvertised. They may offer new and clever ways to use something or they may cause harm. I love the concept of opportunities for action (or ‘affordances’). It’s the unexpected, unadvertised and harmful opportunities for action that interest me. It is especially interesting when these unadvertised and harmful opportunities are so very easy to carry out, based on the way a thing is designed. A wonderful example is the Q-Tip (or cotton swab as they sometimes say in the Southern Hemisphere). For most of us, the Q-tip has a number of uses. The most obvious use people think of is using a Q-Tip to clean ears of all the unsightly build up that gathers there (a hint though, this isn't a good idea). Herein lies the rub, as Shakespeare would say. Using a Q-Tip for this purpose is not safe and not recommended by medical professionals. 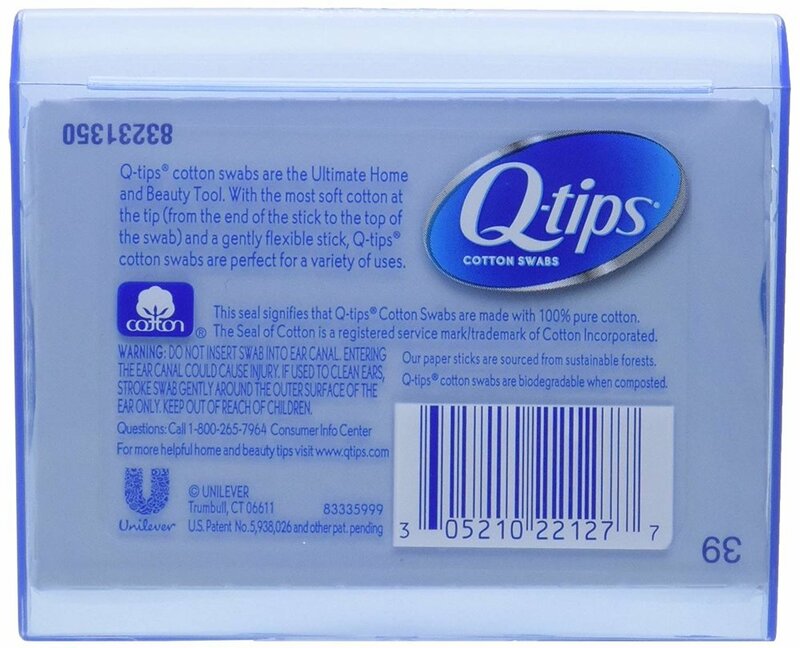 A Q-Tip box actually indicates using a Q-Tip in the ear canal is unsafe (“DO NOT INSERT INTO EAR CANAL”). Yet it doesn’t matter what it says on the box, the Q-Tips easily offers this alternate opportunity for action. There are many cultural stories built up around its use. So it is used that way. Many of the things we make have secondary opportunities for action. Examples include: vehicles, social media, mobile phones, office supplies and more. Whether the harmful action is advertised or not, if it is easy to use it in the unintended fashion, and it works well to achieve a goal, then people will discover the usage and use it that way. Or, people will overuse something (e.g. cars) or use it in anger (e.g. social media). I’m sure you can think of other things we make that support and enable devastating outcomes because of their design. Why do we make them in the first place? Why do we allow them? When will we take responsibility for the things we make?